Gabriel García Márquez was born on March 6, 1928, in Aracataca, a small town near the Colombian city of Cartagena. Like Cuban revolutionary leader Fidel Castro, García Márquez studied law in a Jesuit college. However, the soon to be famous novelist dropped out of school and started working as a journalist. In 1954 he was sent to Rome on an assignment by the daily El Espectador newspaper. Since then he has lived outside his homeland in a self-imposed exile. In the early 1980s he returned to his native Colombia, where he mediated a peace accord between the government and leftist guerillas. 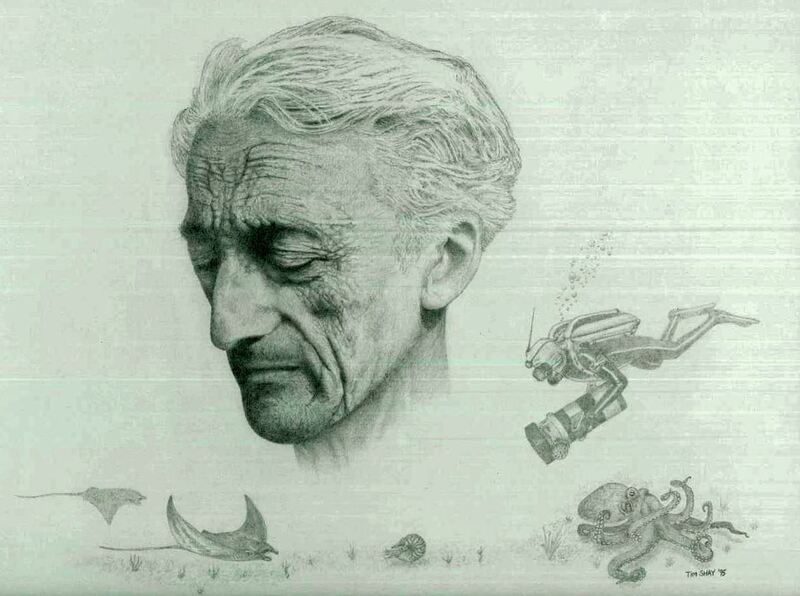 In 1955 he published his first book, Leaf Storm and Other Stories. In 1966, while in Mexico City and suffering from writer's block, he had a vision of his next novel. Eighteen months later he finished One Hundred Years of Solitude, which has been called the greatest novel in Latin American history. 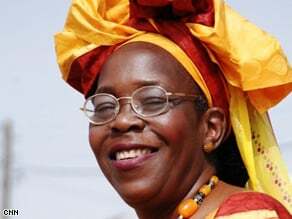 Since its publication in 1967, it has sold more copies world-wide than any other work by a Latin American author and has made the literary genre "magical realism" a household term. The novel recounts the saga of the Buendía family and its generations of ghosts and warriors in the fictional town of Macondo. Another of his novels, Autumn of the Patriarch -- written in 16 gigantic sentences -- tells the grotesquely phantasmagorical story of a prototypical Latin American dictator who refuses to leave power even after everything around him has rotted and died. 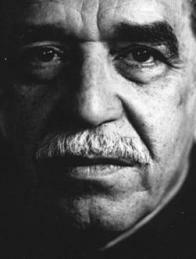 Like most other important Latin American writers, García Márquez has been politically committed to the poor and the weak and has opposed in words and deeds the domestic oppression and foreign economic exploitation of the Colombian people. In 1960 Gabo, as he is known throughout the world, worked as a reporter for the Cuban news agency Prensa Latina. Since then he has counted Cuban revolutionary leader Fidel Castro as a close friend. 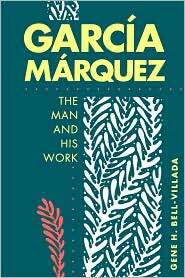 In 1996, while dining at author William Styron's Martha's Vineyard home, Garcia Marquez met President Bill Clinton. Subsequently, Garcia Marquez wrote an admiring magazine profile about the former president during the height of the Monica Lewinsky scandal. 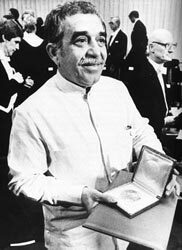 In 1982 García Márquez received the Nobel Prize for Literature "for his novels and short stories, in which the fantastic and the realistic are combined in a richly composed world of imagination, reflecting a continent's life and conflicts." García Márquez, who has described himself as a journalist who occasionally writes novels, returned to journalism in the late 1990s with the book News of a Kidnapping, which chronicles the fate of a group of people kidnapped in 1990 by Pablo Escobar, one of the more brutal leaders of the Medellín drug cartel. While hospitalized for exhaustion in 1999 García Márquez was diagnosed with lymphatic cancer. A hero even in the face of adversity, he declared his cancer was an "enormous stroke of luck" because it pushed him to write his memoirs. His disappearance from public life led people to speculate that he was dying. He publicly reappeared after a poem surfaced on the Internet claiming that it was his farewell message. Fearful that people would think that he wrote such pathetic poetry, he felt compelled to clarify the hoax. - The official page celebrating García Márquez and his literature. Leaf Storm - Though published in 1955, García Márquez wrote it in 1952 and shelved it after a rejection from a publisher. No One Writes to the Colonel - Published in 1961, Gabo wrote this novella in 1956-1957, when he was broke, unemployed and living in Paris. 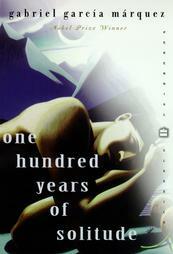 One Hundred Years of Solitude - Published in 1967, this novel is considered the breakthrough masterpiece tof Latin American literature. 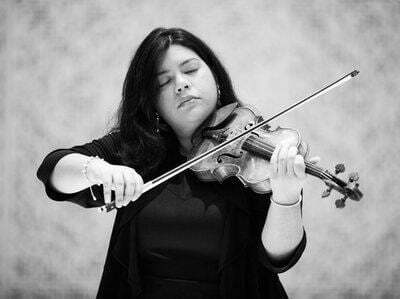 It was written in eighteen months while living in Mexico City. The Autumn of the Patriarch - Published in 1975, this densely written novel is, as Gabo himself called it, "a poem on the solitude of power." Not his easiest book to read, each chapter is a single paragraph long with endlessly winding and multi-layered sentences that carry on for several pages and are brimming with poetic imagery. Chronicle of a Death Foretold - Published in 1981 this novella was allegedly proofread by Fidel Castro. 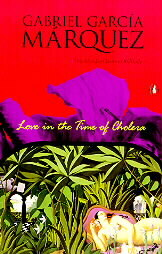 Love in the Time of Cholera - Published in 1985, this beautiful novel about the inevitability of unrequited love tells the story of the lives of three people and their interwined fates. The General in his Labyrinth - Published in 1989, this novel fictionalizes the last days of Latin America's greatest liberator, Simón Bolívar. News of a Kidnapping - Published in 1998, this book marks Gabo's return to journalism, which he calls, "the greatest profession in the world." It chronicles a series of kidnappings perpetrated by drug lord Pablo Escobar. 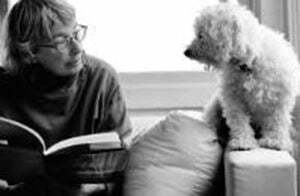 "Poets and beggars, musicians and prophets, warriors and scoundrels, all creatures of that unbridled reality, we have had to ask but little of imagination, for our crucial problem has been a lack of conventional means to render our lives believable. 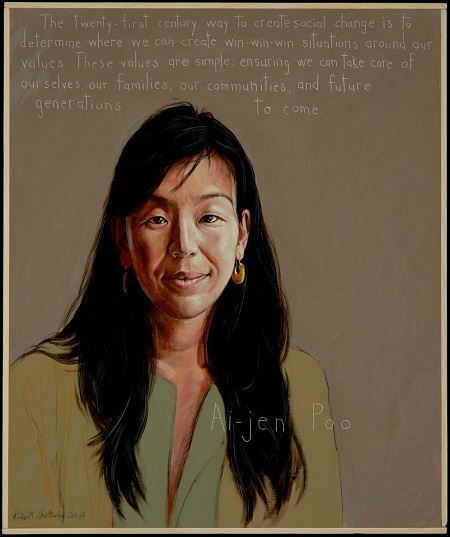 This, my friends, is the crux of our solitude." -- From Gabriel García Márquez's Nobel Prize lecture, "The Solitude of Latin America," delivered on December 8, 1982.